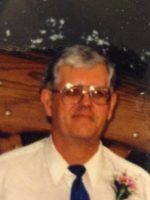 Jeffery R. Partridge, age 70, of New Philadelphia died early Thursday, August 9, 2018, in Cleveland Clinic Hospital following a period of declining health. Born in Chicago, Illinois on March 30, 1948, Jeff was a son of the late Ralph and Betty Jean Schellhase Partridge. Jeff was raised in Poughkeepsie, New York and attended Dutchess Community College where he earned an Associates Degree in Computer Science. For a handful of years Jeff worked for IBM and later started his own company, Peartree Computer Service. In his younger years, Jeff enjoyed sailing. He was a member of the Beacon Sloop Club which was affiliated with Clearwater and Pete Seeger. The sloop which he enjoyed sailing was named Woody Guthrie. Jeff had a deep love for Folk Music and Rock & Roll and was one of the thousands in attendance at Woodstock. His passions in life were anything dealing with computers, gaming, building, repair work, or anything else technology-related. He also enjoyed hunting for bargains at yard sales and enjoyed science fiction, particularly Star Wars and Harry Potter. Jeff is survived by his wife of nearly 21 years, the former Elsie Rankin, whom he married on August 22, 1997; his daughters, Kimberly (Chris) Dufresne of Rochester, New Hampshire and Amy Partridge of Wooster; his granddaughter, Alexis Partridge of the home; and many other family members. In keeping with Jeff’s wishes, there will be no public visitation or services. Cremation care has been conducted by Geib’s Tuscarawas Valley Crematory. Memorial contributions in Jeff’s name may be directed to the Tuscarawas County Humane Society, 1432 Tall Timber Rd NE, New Philadelphia, OH 44663.